New luxury Live! Hotel now open. 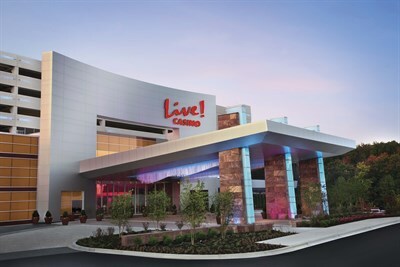 More than 200 table games and approximately 4,000 slots; nationally-acclaimed restaurants, such as The Cheesecake Factory, Bobby's Burger Palace and The Prime Rib; live entertainment nightly. Conveniently located in Hanover near major highways and the BWI Airport. Ejoh and team goes above and beyond! Customer service 5 star, suites 5 star, accommodations 5 star. This is our second stay and I’m sure many more to come!